The OG Consign Couture. Now Gather Resale. There is something truly wonderful about the consignment boutiques in the US. You can find great secondhand items, already curated, with reasonable pricing — The look, feel and attention to detail really differs with each store, making them all unique and interesting. One of my favorite modern resale spots in Phoenix, AZ: Poor Little Rich Girl. Vice Resale in Sellwood, Portland — always great for BAGS. 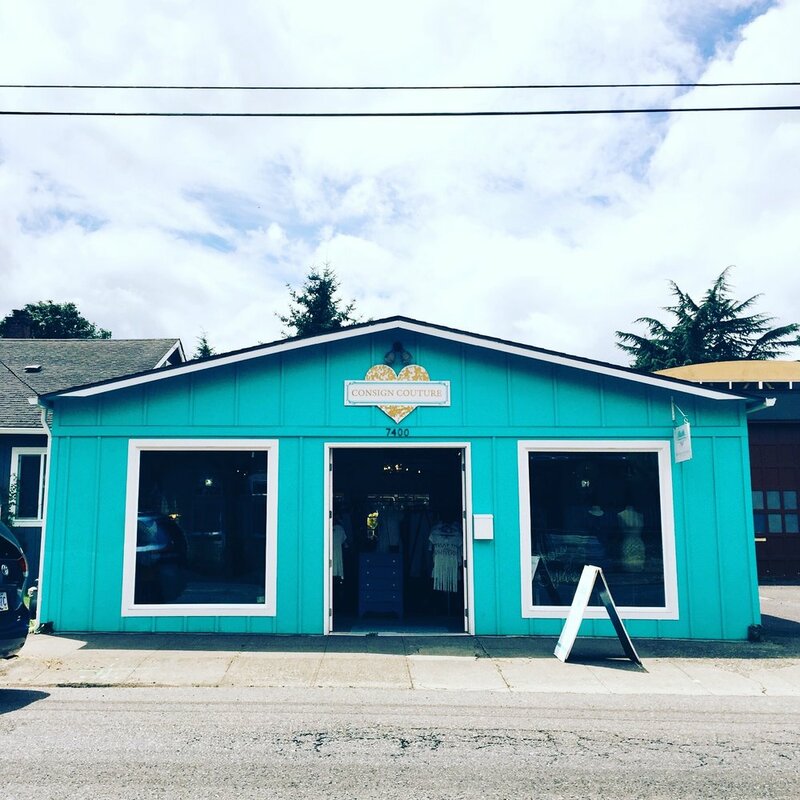 Small, quaint, upscale vintage & consignment stores that carry luxury brands and are priced on the high end (CornerLuxe Depot, Rose Market Vintage, Madre & Figlia) Some high end consignment stores are even by appointment only, such as the chain To Be Continued. Straight up flea market/yard sale style thrifting, which is the best kind of secondhand in Paris. You will find the best deals in this category. The most famous Paris flea market is called Marché aux Puces de Saint-Ouen and is the oldest and largest of its kind in the world. It’s in business every Saturday-Monday at Porte de Clignancourt and attracts 120,00-180,000 every weekend. There are guides you can hire on Airbnb and it’s totally worth it. You can explore on your own too, but it can be very overwhelming. I will compare the overwhelm to a gigantic trade show in Las Vegas: the energy and scale is comparable but with people from all walks of life selling EVERYTHING. If you love the hunt, this is your place. When you arrive it will seem like the outside area you see first is it, but let me tell you, it keeps on going forever. You can spend 3 hours here and barely scratch the surface of what there is to see. Visit TripAdvisor for more info and photos. There are also the weekly vide-greniers and brocantes (yard sale type street markets) where you can find all sorts of treasures. You can find out where they are each week here. Brocantes will offer you more antiques whereas vide-greniers are better for finding clothing. Last year La Recyclerie (also at Porte de Clignancourt) ran a few second hand markets so it might be worth checking out their calendar during the time of your trip. Another place I follow called Violette Sauvage has events where they put together a market of sorts with vendors of secondhand clothing. They post all of their event dates and information on their website. Paris can be super overwhelming, especially when it comes to shopping, because of the sheer volume of what there is to explore. My suggestion is to always check out places online before you go out to treasure hunt. Create a map of 3-5 places to check out in a day using the Google Maps multiple stop feature, which will even tell you what trains to take. If you plan on visiting higher end stores, make sure to do your research beforehand in case an appointment or reservation is required. It will take time and you will have to hunt to find good deals in Paris, but you will get lost in the fun and the magic of it all. Buy a cheap piece of luggage at a thrift store and check that bag on your flight home. This will cost you about $100. If you have anything to add to my viewpoint or shops to include for future Paris visits please email me (tamara@consign-couture.com) or leave a comment here. You will find many small quaint shops in Paris that are full of all types of upscale vintage. I find most of it to be overpriced, with pieces that don’t speak to every day wear: in most cases, not what I’m looking for. This is what the outside of many resale shops look like in Paris. A lot of the flea markets and Parisian style yard sales have a similar look and feel. You can find the best stuff if you’re willing to hunt! Flea market sales are everywhere. Do your research if you’re going to make flea market shopping a priority, or just happily stumble across one or many on your daily adventures!